DeLand, with 30,000 plus residents, is centrally located between the Orlando attractions to the southwest and the Atlantic beaches on the northeast. It is noted as a thriving city distinct in its history as well as what it has to offer visitors. With interesting and definitely unique retail shops—no run of the mill here; award winning eateries—from Zagat rated to eclectic wine, microbrew and sports bars; to a good collection of artistic and cultural venues—from first-class music, community theater and various museums, The city’s assets belie its physical size. 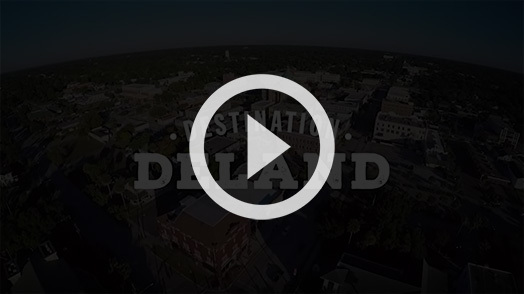 From stories in the media to online travel sites, DeLand is recognized as an exciting travel destination or possibly even a place to spend a lifetime. So, we invite you to “Discover DeLand” at www.discoverdeland.org.